With the Tefnut Lady Butterfly, watch manufactory Moritz Grossmann presents a slice of great happiness in the smallest space. 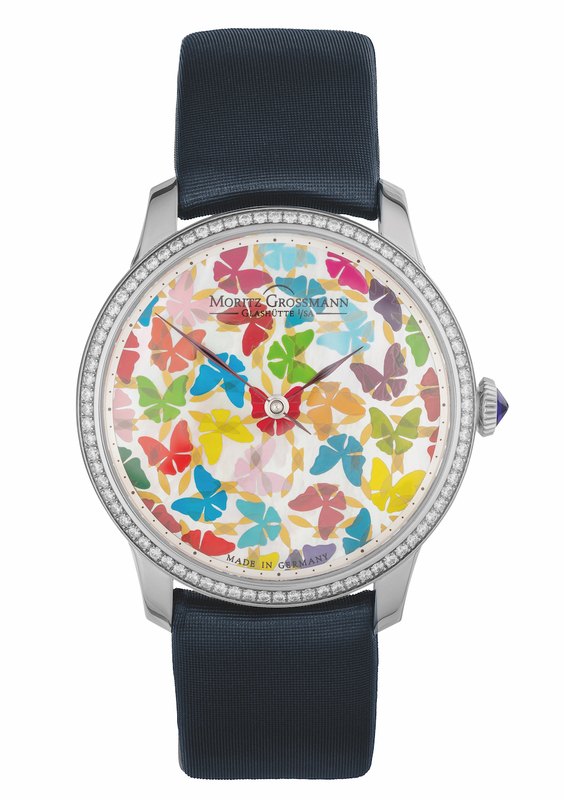 In accordance with the artistic design created by Harriet Oberlaender, a swarm of colorful butterflies has been painted on the mere 29 mm mother of pearl dial by hand in the form of a miniature painting. For the artist, the butterfly is a playful symbol of lightness and the preciousness of each moment. In addition to the Lady Butterfly, selected works by the artist Harriet Oberlaender will also be on display as part of a exhibition of paintings. Born in Zwickau, artist Harriet Oberlaender has lived and worked on the Cote d'Azur for more than 20 years and has inspired an international audience in numerous exhibitions in France and Germany. Her expressive, energetic works are characterised by a feeling of freedom, expanse and the search for true happiness. Her visual language leads straight to the heart. The butterfly one of the key motifs in her works is a symbol of the human soul that wants to unfold and fly. 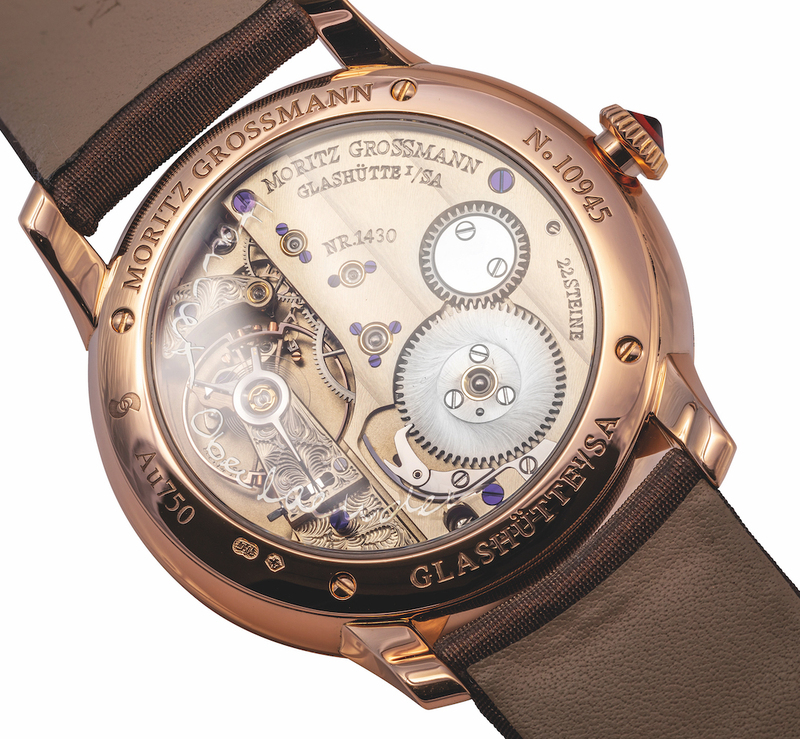 The design of the Lady Butterfly was particularly close to the artist's heart: 'I'm really pleased that I've been able to realise the Lady Butterfly for Moritz Grossmann. I want every glance at the watch not only to reveal the time to the wearer, but also remind her of the happiness of a fleeting moment'. The case, in 18kt white or rose gold, measures 36mm 8.6mm. It has an AR-coated sapphire crystal and a sapphire display back. The bezel can be had with 80 brilliant-cut diamonds (0.73 carats). Movement is the German manual-wind in-house caliber 102.1 with 22 jewels (3 in screwed gold chatons), 21,600 vph and a power reserve of 48 hours. It is regulated to five positions. 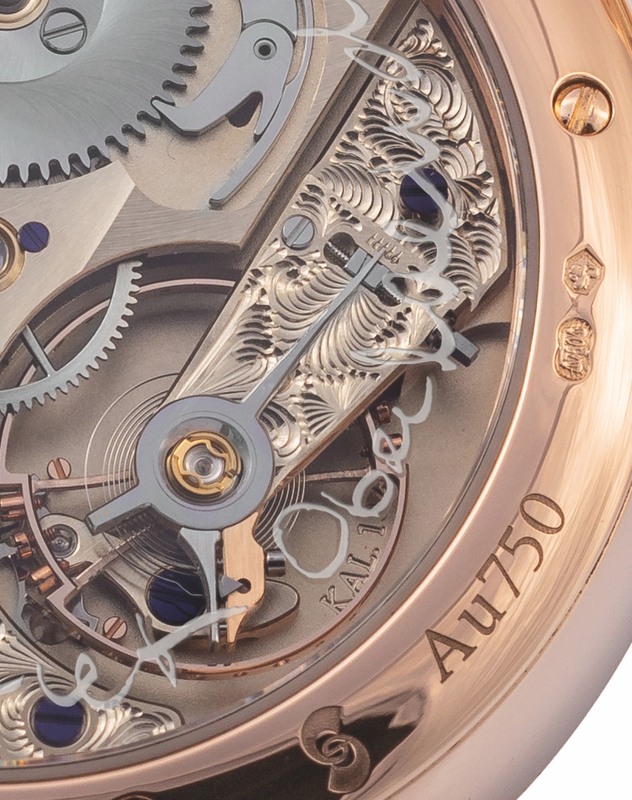 It features a shock-resistant balance with inertia and poising screws, impulse pin integrated in rim; flat balance spring; balance staff with integrated safety roller; index adjuster with Grossmann micrometer screw; plate movement with 3/5 plate, frame pillars and separately removable clutch winding mechanism; frame parts in untreated German silver; raised gold chatons with pan-head screws; remodified Glashütte stopwork with backlash; mainspring barrel with bilateral jewel bearings for optimised power management in the low-torque range; ARCAP train wheels; proprietary escapement with 18-tooth escape wheel. It contains the artist's signature. It has a mother-of-pearl, hand-painted dial with butterfly motif. The hands are manually crafted from steel, annealed to a brown-violet hue. It comes on a satin strap with a matching gold buckle. Previous Topic: N E W M o d e l - IWC Portugieser Chronograph Rattrapante Edition "Boutique Milano"